Face detection is a needed component for the automatic analysis and assistance of human activities during surgical procedures. Efficient face detection algorithms can indeed help to detect and identify the persons present in the room and also be used to automatically anonymize the data. However, current algorithms trained on natural images do not generalize well to the operating room (OR) images. In this work, we provide a comparison of state-of-the-art face detectors on OR data and also present an approach to train a face detector for the OR by exploiting non-annotated OR images. We propose a comparison of six state-of-the-art face detectors on clinical data using multi-view OR faces, a dataset of OR images capturing real surgical activities. We then propose to use self-supervision, a domain adaptation method, for the task of face detection in the OR. The approach makes use of non-annotated images to fine-tune a state-of-the-art detector for the OR without using any human supervision. The results show that the best model, namely the tiny face detector, yields an average precision of 0.556 at intersection over union of 0.5. Our self-supervised model using non-annotated clinical data outperforms this result by 9.2%. We present the first comparison of state-of-the-art face detectors on OR images and show that results can be significantly improved by using self-supervision on non-annotated data. This work was supported by French state funds managed by the ANR within the Investissements d’Avenir program under references ANR-16-CE33-0009 (DeepSurg), ANR-11-LABX-0004 (Labex CAMI) and ANR-10-IDEX-0002-02 (IdEx Unistra). 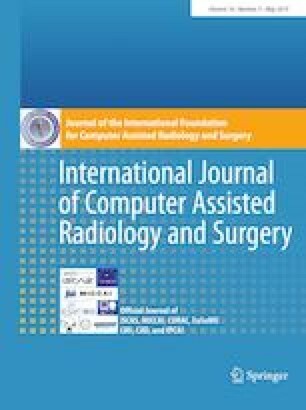 The authors would also like to thank the members of the Interventional Radiology Department at University Hospital of Strasbourg for their help in generating the dataset.